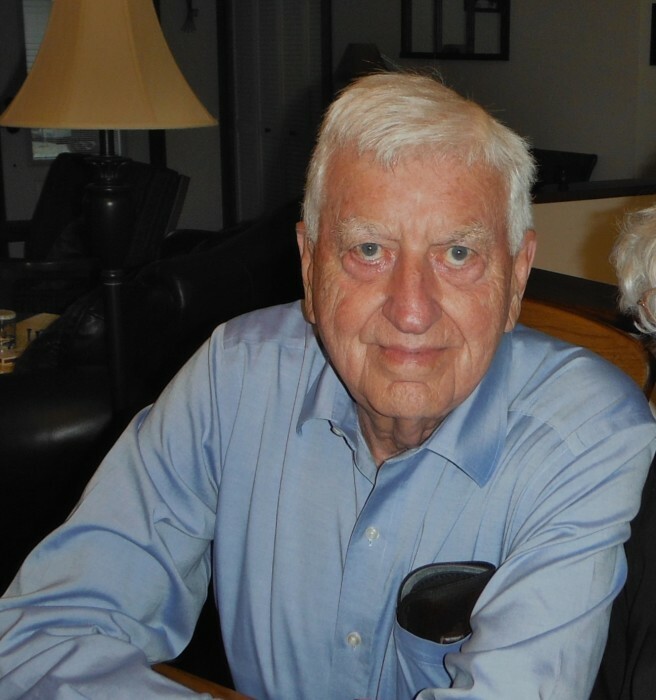 Obituary for Owen Murray Sweetman | G.F. Oliver Funeral Chapel, Ltd.
Murray Sweetman passed away peacefully on January 27, 2019 in Creston, BC. Murray was born near Little Britain, Ontario. After high school he left the farm to join the Royal Canadian Air Force as a fighter jet pilot. He flew his first solo at the age of 21 and continued his military career until 1977 when he retired from the Air Force to became a commercial pilot for an oil company in Calgary. During an early posting in North Bay, he met his wife Betty who was also stationed there as an Air Force Recruiting Clerk. He had a respected military career, including a posting to Ascension Island, for which he was later awarded the Order of Military Merit in Ottawa for his work on early missile detection in 1960. In 1990 Murray retired as a pilot and moved to Creston with Betty. He stayed very active with hunting, fishing, curling, and baseball (where at 88 years of age, he was the oldest player in the league). Murray was predeceased by his mother, father, and very recently his wife Betty of 63 years of marriage. He leaves behind his son David (Nee); daughter Kimberly (Steve); grandchildren Sarah (Aaron), Alexandra, Patrick, Ben and Angie; brothers Don (Shirley), Harvey (Fran), Carl (Jackie); sisters Nancy (Hubert) and Olive; sisters-in-law Marjorie (Bill), Marie and Margaret; and numerous nieces and nephews. Murray’s wishes were for no public service.